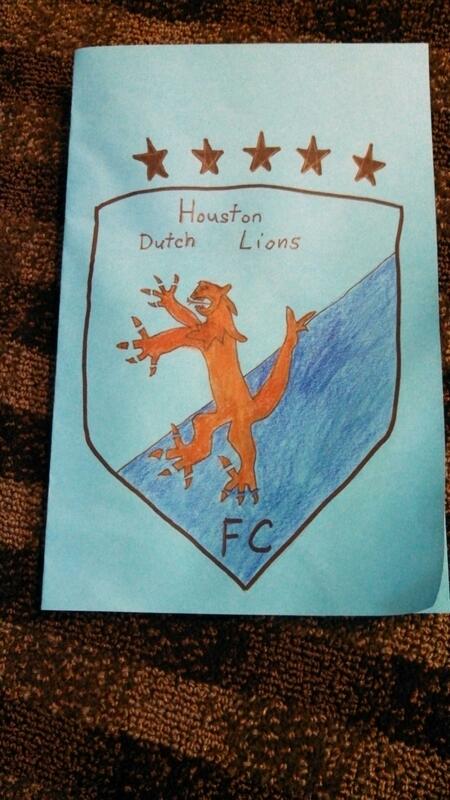 Houston Dutch Lions Link! 5/14/2013 | Travis the Warrior --- Kickin' Cancer! To follow up on our Dutch Lions update from Saturday, 5/11, we spoke with the Houston Dutch Lions today to thank them again for taking such good care of us. They let us know they put a little update on their website about Travis meeting the team. Check out the boys! We want to thank each and every one of you from the bottom of our hearts for all that you did for Travis and our family in creating such a special day. From the meet and greet with the team, to taking a team picture and the team gear, to the VIP seating where we met some great people and were treated to some fantastic food, to the walk on with the players and opening ceremony, to the halftime shootout with Boniek Garcia and Leo, and finally for being able to watch some great football. We couldn’t have imagined anything more perfect and it is still hard to believe that it all happened. Thanks so much Houston Dutch Lions for the first class treatment especially from Robbert, Dennis, Martin, Coach Hans, Bryan, Asia, Davy, all the players and everyone with the club. You were all so welcoming and really made Travis feel like a rock star! We truly appreciate you making our family feel so special and putting a huge smile on Travis’ face. He can’t wait to get back on the field to play soccer and this experience gave him some extra special motivation. Good luck this season and we will be sure to continue following the team when we return home to California in a couple of weeks. Go Dutch Lions!